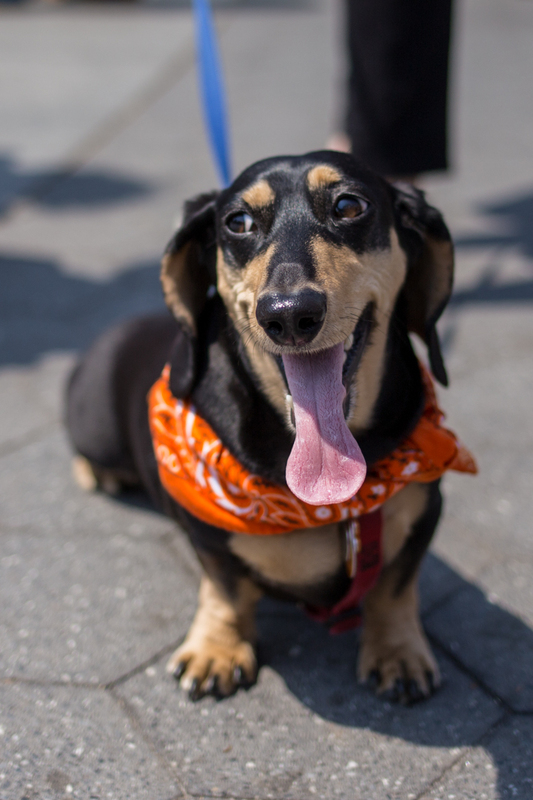 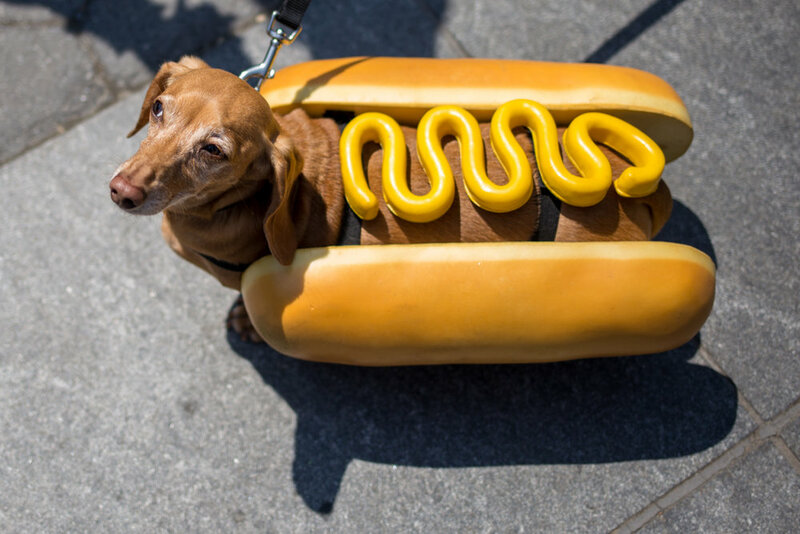 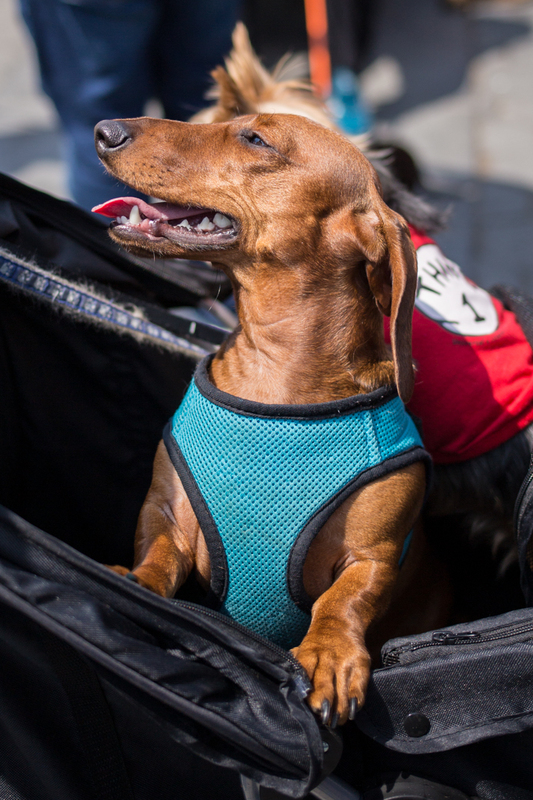 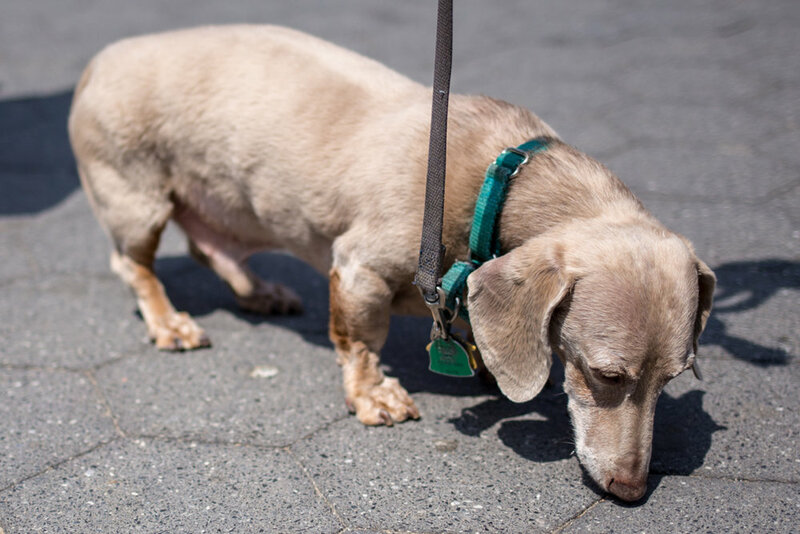 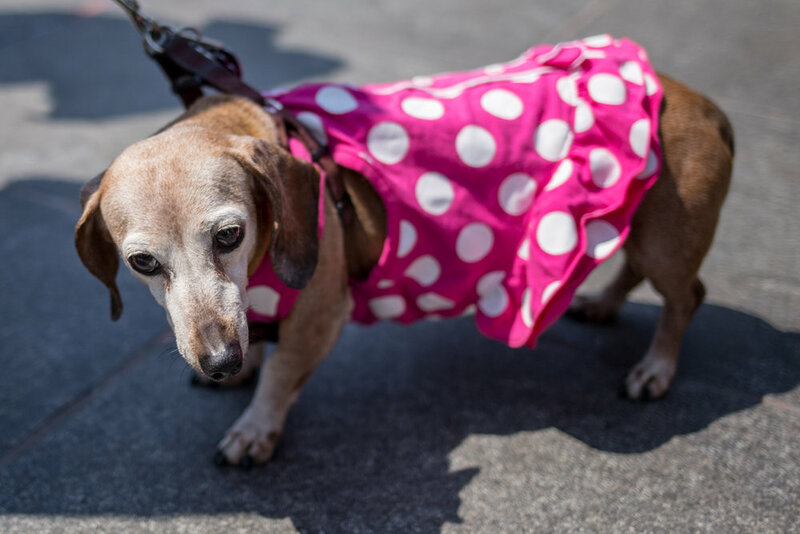 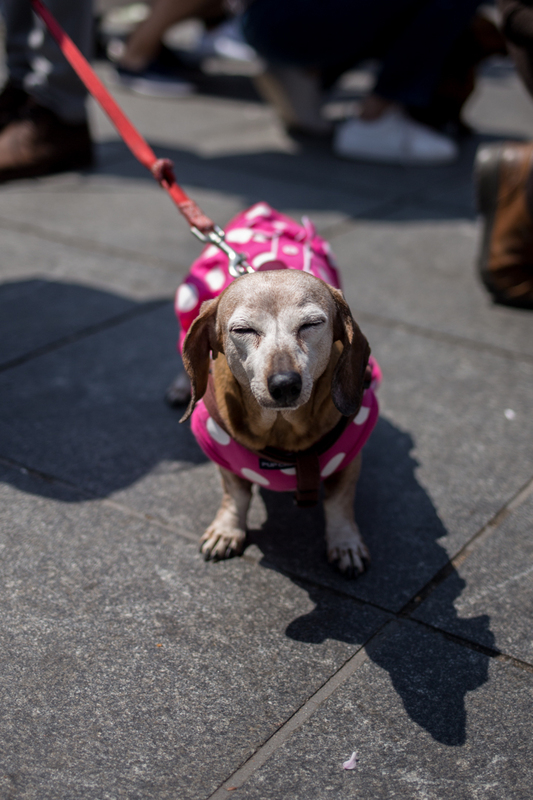 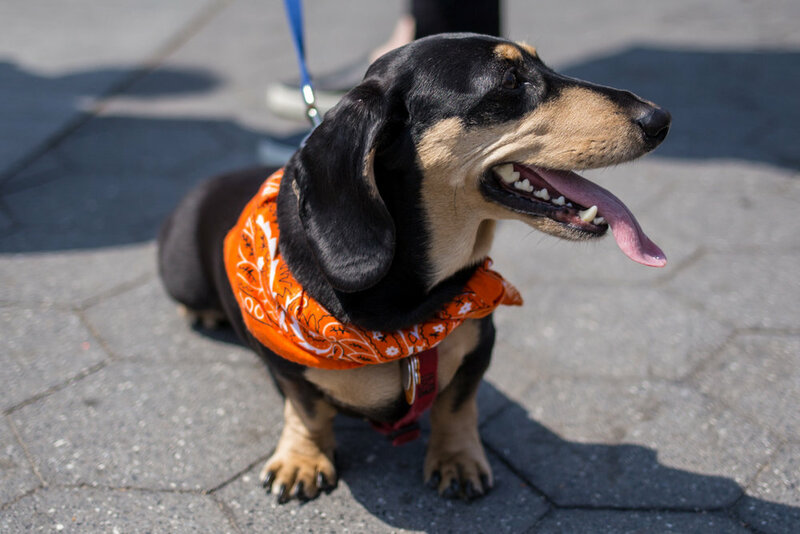 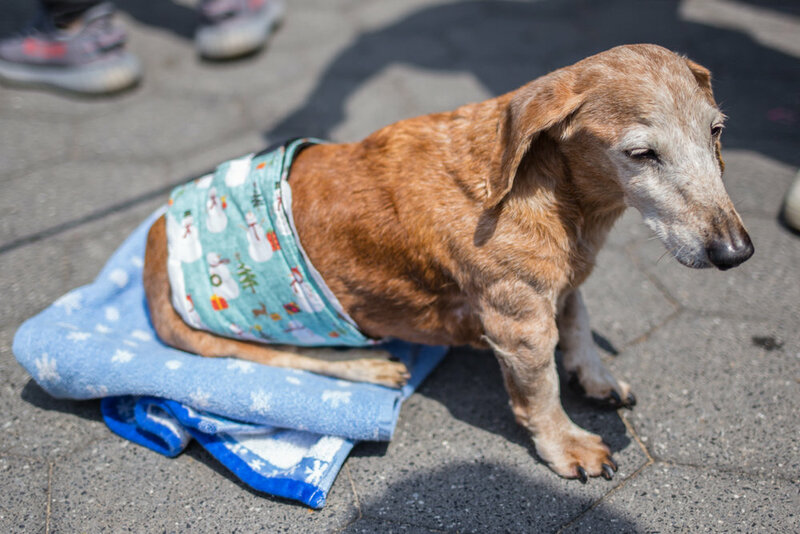 Dachshund Fest (also called the Dachshund Spring Fiesta) is my very favorite New York event. 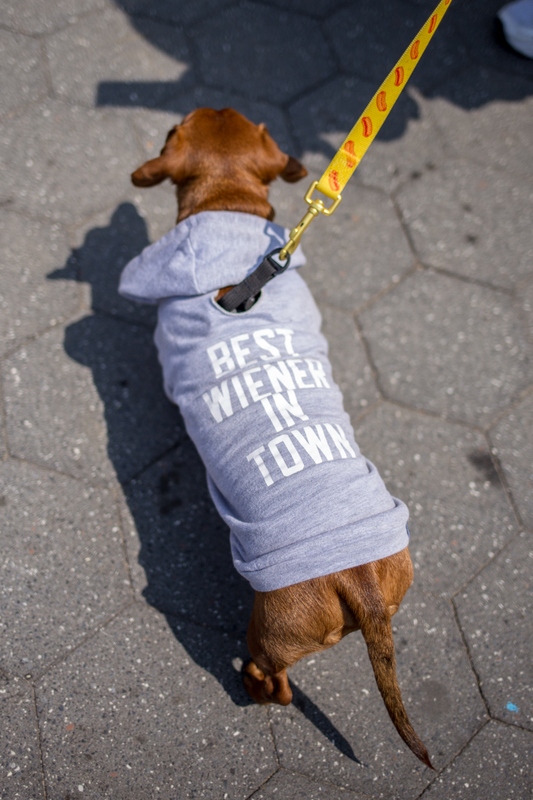 On the last Saturday in April, dachshund owners (and dachshund lovers!) 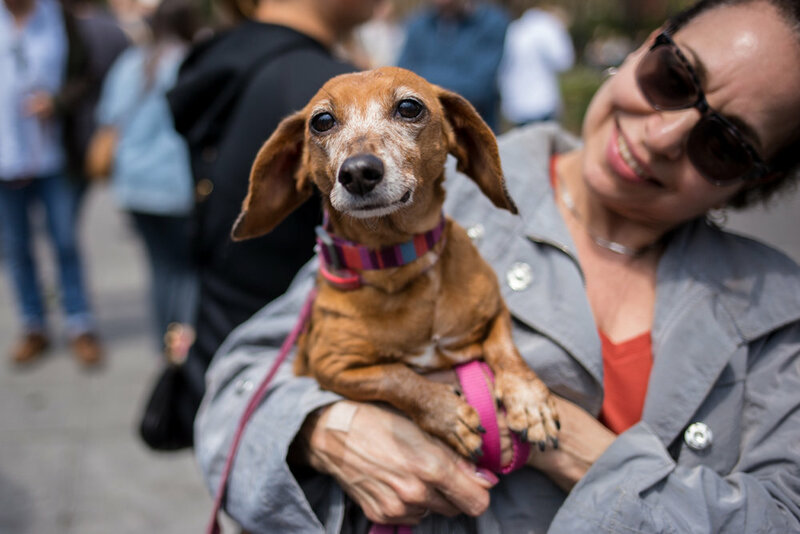 gather in Washington Square Park. 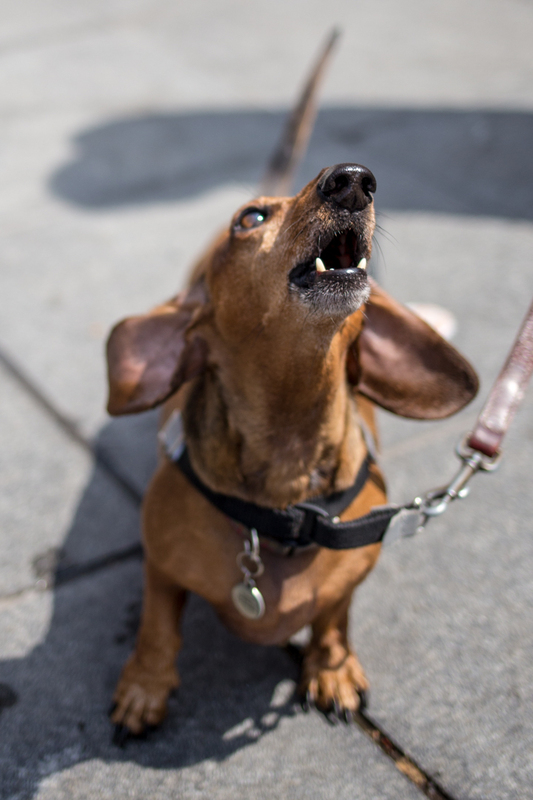 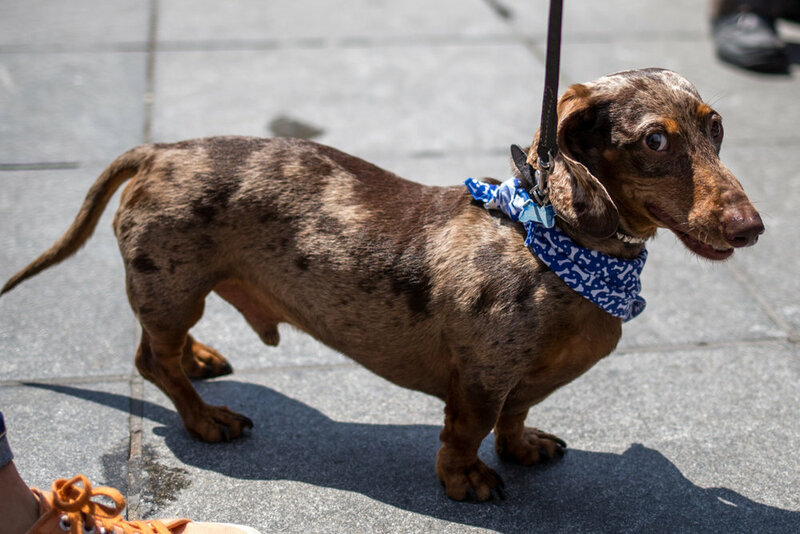 At 1pm everyone sings the "Dachsong" and I'm not exaggerating when I say that I look forward to being surrounded by so many wiener dogs all year long. 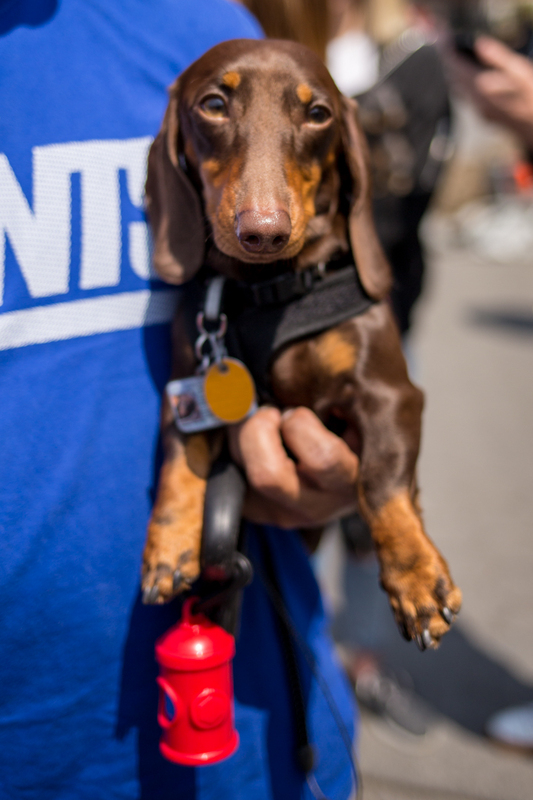 Don't tell Mozart, but I think New York has turned me into a dog person. 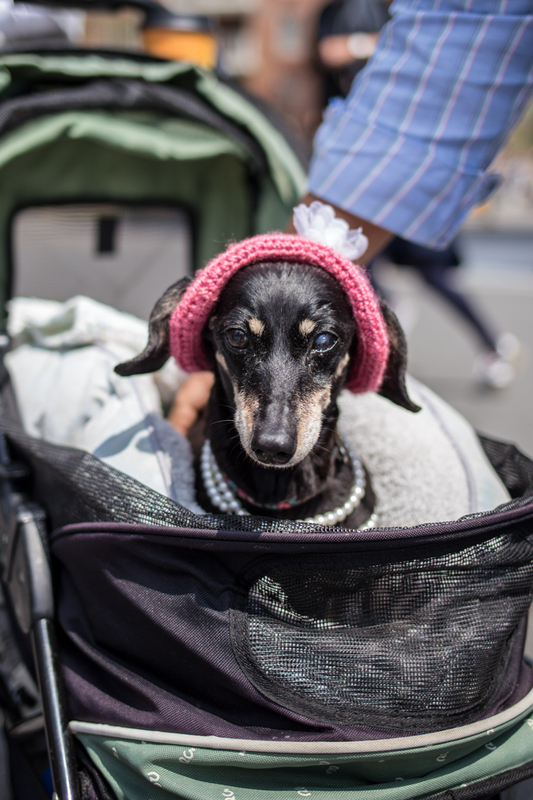 My heart breaks into a thousand pieces every time I see a cute dog and I think this must be how most women my age feel about human babies. 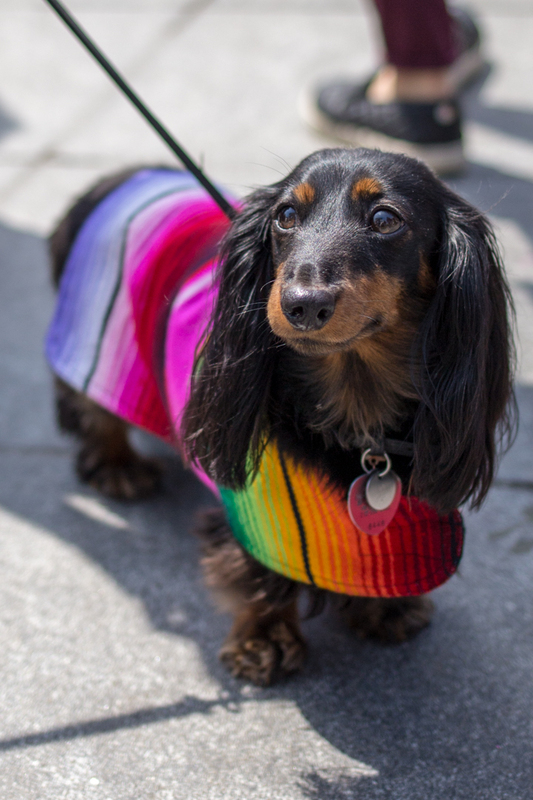 Most children just annoy me, but the minute I see a dog in tiny rainboots, I'm an emotional mess. 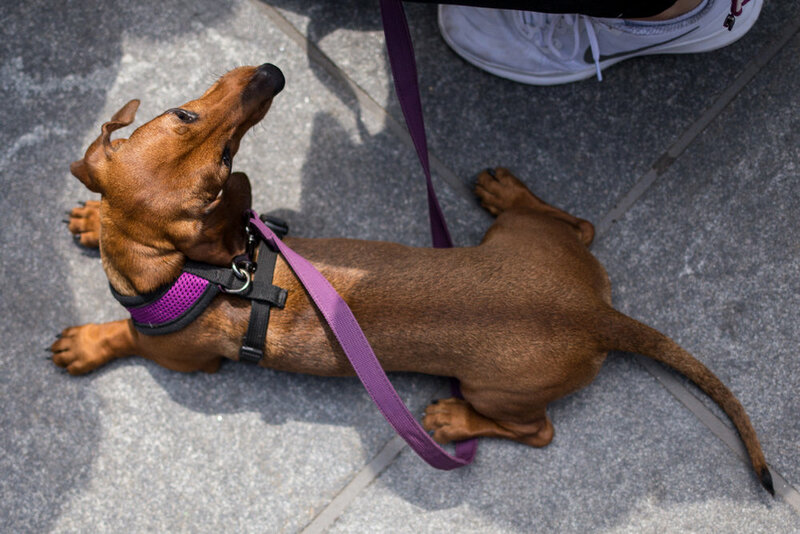 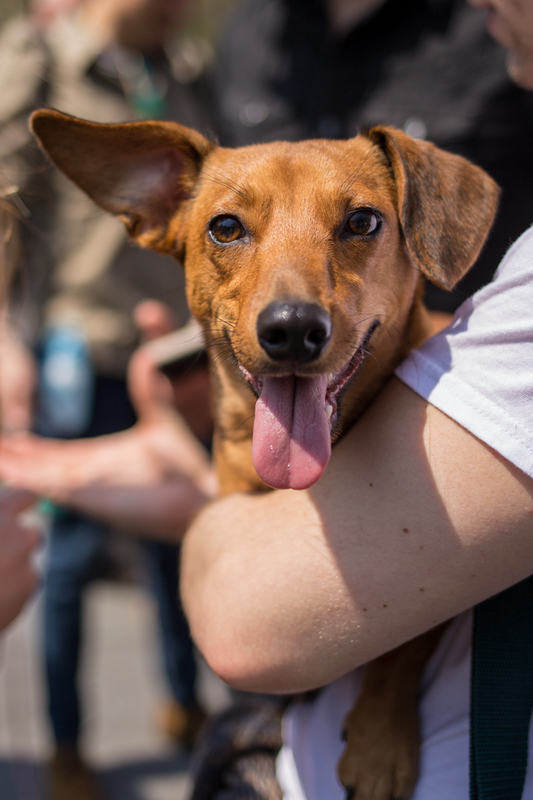 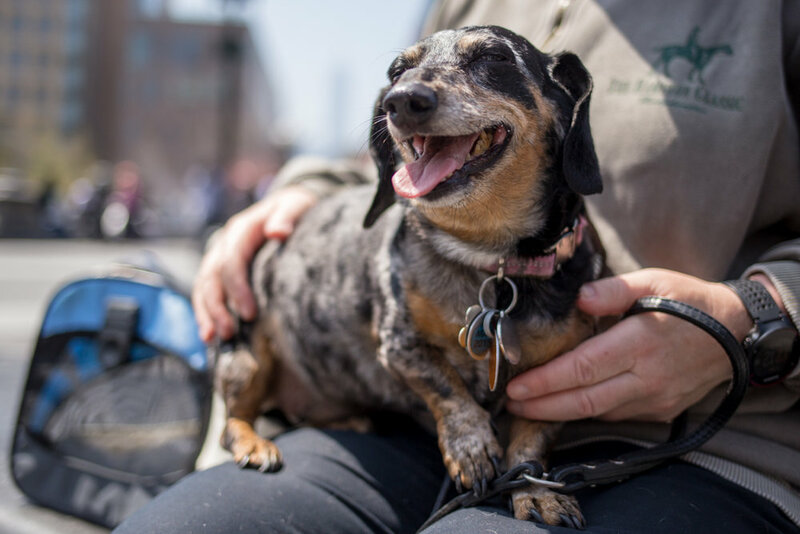 The Dachshund Fest is the perfect event for me because I get to pet a bunch of the world's cutest dachshunds without having to put in any of the effort required to own a dog. 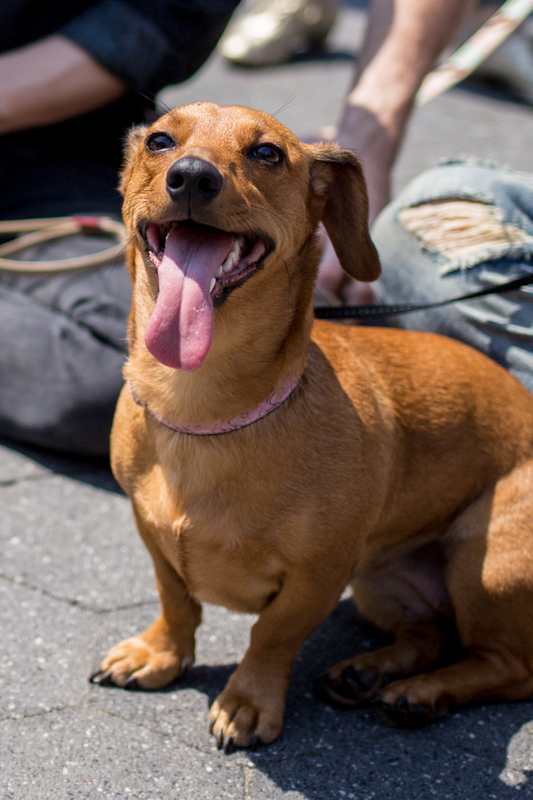 I would love to own my own wiener dog eventually, but Mozart is a bit of a bad seed and might actually murder anything that takes my attention away from her. 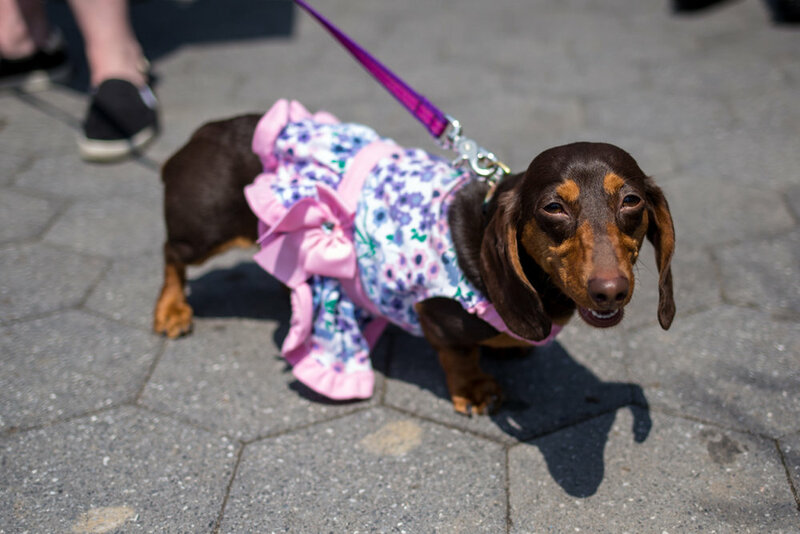 It was pretty warm but some of the dogs were still dressed up. 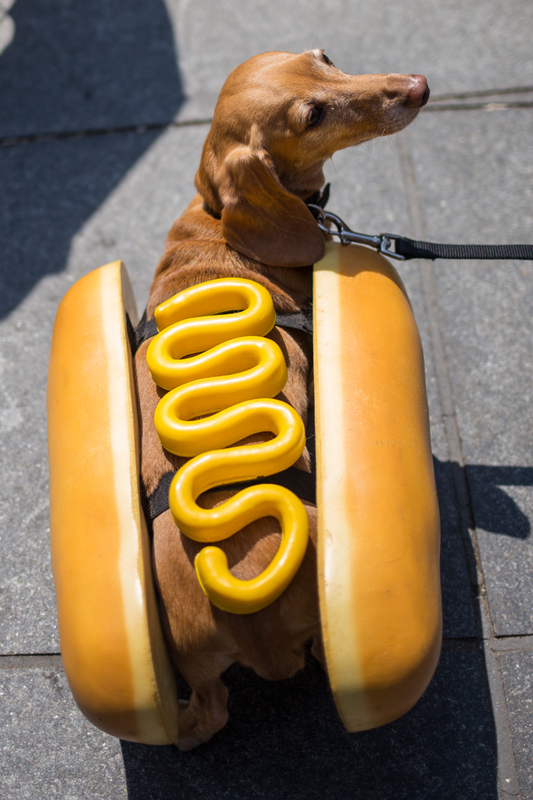 There was only one in a bun, but it was a great one—I'm team mustard all the way. 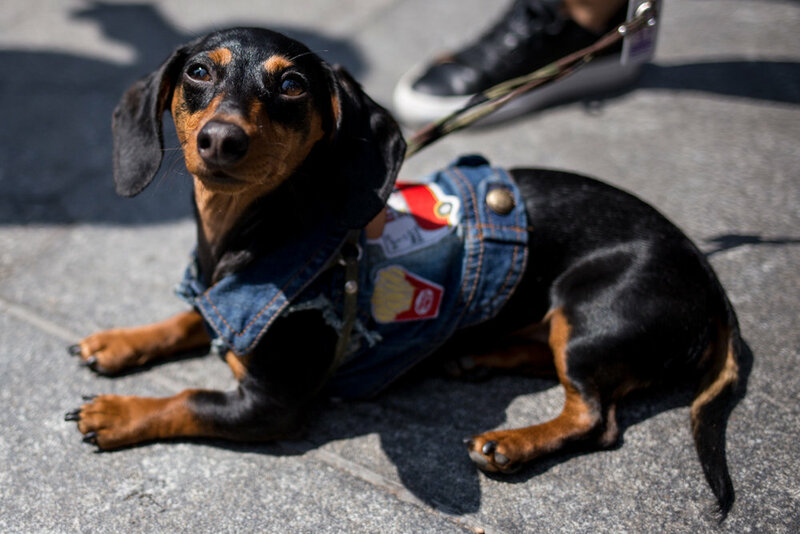 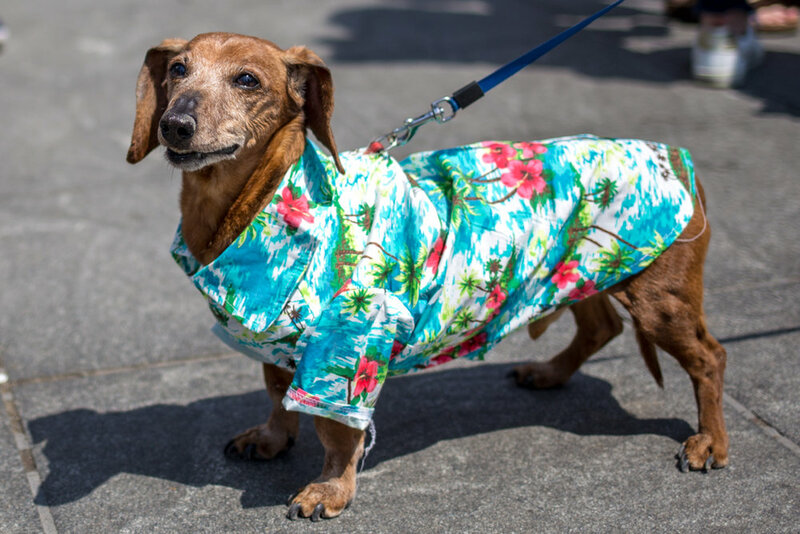 Two dogs had jean jackets, one was wearing a snacks-themed onesie, several had neckties and bandanas, two were wearing gingham shirts, two had Hawaiian shirts and the "Best Wiener in Town" hoodie was just too much. 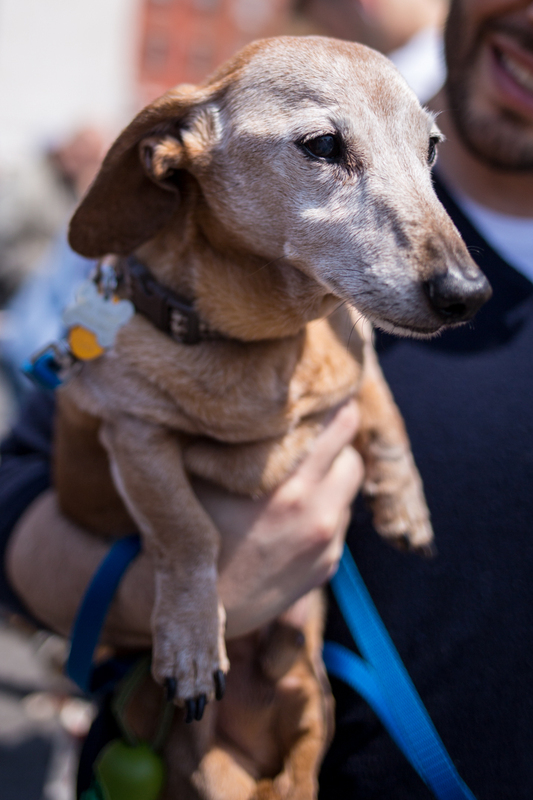 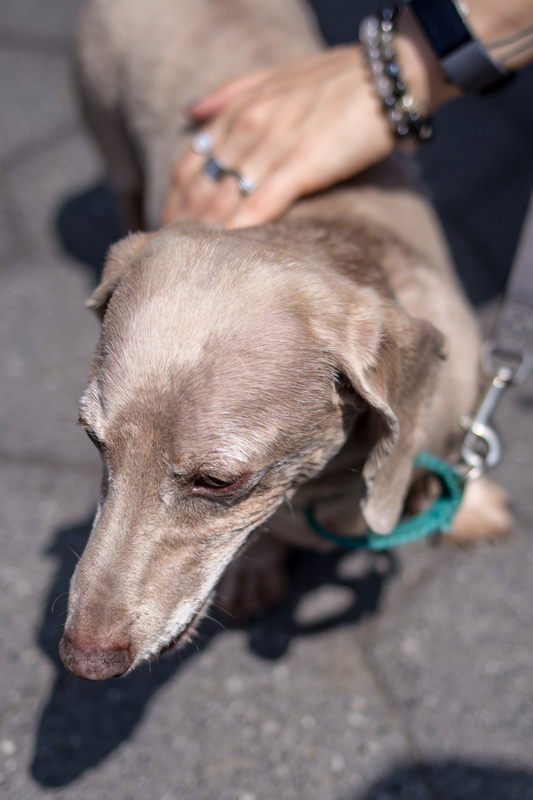 All ages, colors, sizes and coat styles were represented and I met three separate dachshunds that were 17 years old (Diesel, Pepsi and Chili). 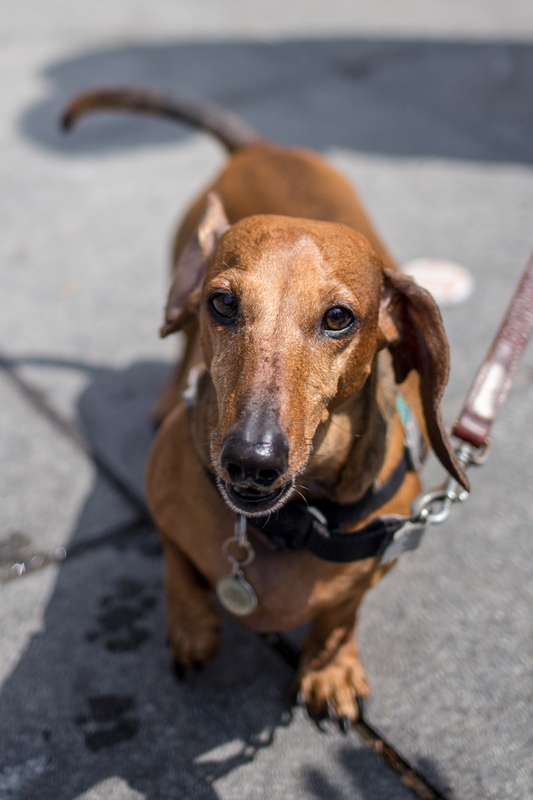 This was my third year at the Dachshund Fest (here are my photos from 2015 and 2017) and I recognized a lot of dogs (and their owners) from previous years. 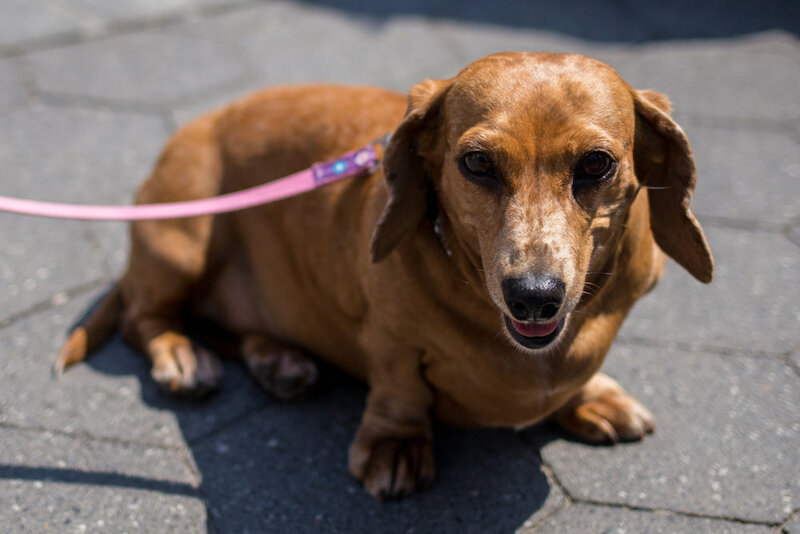 I also recognized an embarrassing amount of dogs from accounts I currently follow on Instagram, including Mina the Wiena, Big Al, Zoe Morini, Chili and I met Dachshunds of NYC, Waddles and a lot of other new friends—if you see a photo of your dog, say hi!